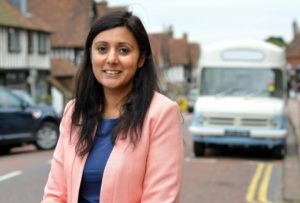 Below is the text of the speech made by Nusrat Ghani, the Parliamentary Under Secretary of State for Transport, on 24 January 2019. As I bring today’s event to a close I would like to thank you all for attending. Just 4% of the 10,600 UK certified officers active at sea are female. Last year it launched both the Women in Maritime Pledge and the Women in Maritime Charter — challenging companies to make progress on diversity.